I think that the fanbase would tolerate getting rid of all the dead weight even if it meant that the Wild would be the last team in the NHL next season. It only gets risky after that and we really should be competitive again in a couple of years. With the problems in scouting, developing prospects and getting good value in trades, it feels kind of scary. I'd still.rather see a true rebuild with its risks than getting barely to the playoffs by wasting picks to get leftovers like Pavelski Nelson or Lee etc. You are correct IMO. More of the same around here if CL owns the club. Do you recall what kind of condition he left Nashville in? Nashville was not in bad shape when he sold it. If I remember correctly they were always a tough, physical team to play against, hence the nickname "Smashville". The biggest problem with Nashville was that it was in an nontraditional market, and Leipold wasn't making any money. They had a very strict internal salary cap that their GM stuck too. Will be also OK in addition to Brown, Bitteto, Aberg to get somehow rid of Rask, Fehr, as well as under questions our youngsters Ek and Fiala. IMO team needs in really true consistent snipers(as more as better) in all lines. For me, it does not matter which (right, left, or center) just true. We are missing them 19 years already, the exception was Gaborik. A tough task for the scouting staff. I am very hoping that Donato will be developed into one of them. One example of a true sniper is Ovechkin. Despite his age, he was able to put more than 50 goals(including this year) per regular season in 8 seasons already and almost reached the Wayne Gretzky 9 seasons of the same record. Fenton's got a bunch of RFA's (Aberg, Belpedio, Donato, Eriksson-Ek, Fiala, Soucy, and Sturm) which he can get fairly cheap (none of them made over $1M and none of them did anything other than Donato and maybe Eriksson-Ek) and a few of UFA's (Bitetto, Hunt and Fehr) that he probably can still get cheap. Rask isn't going anywhere, at least not for a while. Moving him right away would be akin to Fenton admitting he made a mistake, and he's not going to do that. And Rask was a disaster anyways, so no one would probably trade for him, at least not with that $4M price tag. I wasn't jazzed about the Fehr signing, but he did a decent job on the fourth line for what they paid him. The problem with your Ovechkin example is that Ovechkin was a #1 overall pick. The Wild haven't even been within shouting distance of the #1 overall pick, ever. And this scouting staff couldn't pick out an Ovechkin in a room full of Smith's. The Wild need to start giving prime ice time to these young guys if they want to "turn it around on the fly". But that means the vets are going to have to accept diminished roles and less ice time. And with this crew, I just don't see that happening. So right now on this team we are stuck with Parise, Suter, Koivu having ntc. I believe Spurgeon and Zucker have modified nmc. With that in mind, which 6 players would you like to see move on. The reason I chose 6 is I just don't think they can turn over more than that. For me personally, if I never see a JT Brown, Bitteto, Aberg in a wild sweater that'll be ok.
Other than Matt Dumba anyone and everyone are open for trade as long as we get fair trade in return. You forgot Staal and his new 2 year/mNTC deal. Zucker's mNTC kicks in July 1, I believe, so he may be traded at the draft. Russo is fairly confident that Zucker is gone this off season, which is a shame. Brown is signed through next season (19-20), for $687K, so he's not going anywhere unless Fenton buys him out. If he's unhappy with Brown, just bury him in Iowa for a season. Otherwise his salary will be added to the Ennis buyout next season (Total of $1.5M Cap Hit for both Ennis and Brown). Fenton drafted Aberg, so it wouldn't surprise me if Fenton gives Aberg a one year deal ("Let's see what he can do with a full season under his belt...". Same with Bitetto. He was in love with Bitetto enough that he pulled him off waivers and was basically telling Boudreau to play Bitetto over Seeler. My big fear this off season is that Fenton is going to bring in some high priced, Over-the-Hill UFA (like Joe Pavelski), who will take away ice-time from the young guys. These guys aren't going to get any better putting them on the third and fourth lines, or having a guy with a boat anchor in his breezers centering them. Actually Parise, Suter, and Koivu have NMC's. Spurgeon, Dubnyk, Staal, and Zucker as of July 1st will have modified NTC's. That's why we'll probably see Zucker dealt at the draft. Precisely. The Predators were on their way to being good and being good despite being a budget team in a salary cap world. Leipold got tired of losing money because the corporate money wasn't rolling into buy up the lower bowl seats. My thoughts exactly...especially when you factor in the Ex-Badger, Wisconsin kid factor that is Pavelski. He better not see anything in Aberg. Boudreau was able to scratch him in the last few games. That tells me even Fenton gave up on him. As far as Bitetto goes...you could be right unfortunately. He's complete trash, but Fenton either loves the guy or he has compromising photos on him that he keeps wanting him around. There is some talk Brown may get pushed for a breach of contract with the drinking violation. So they may have an out, but that doesn't exactly save the franchise a ton of cap space. I'm more in KissArmyMan's camp...that we're going to throw stupid money at old foagies and paint ourselves back into a corner all over again. If Fenton can't see that there was a reason bitteto was on the waiver wire this team is in a lot more trouble than just being saddled with Fletcher's bad contracts. Bitteto, Aberg, Brown and even Rask just don't have it. There was a reason they were all available and all cheap. How guys like Rask and Tyler Ennis get contracts like they do is amazing. 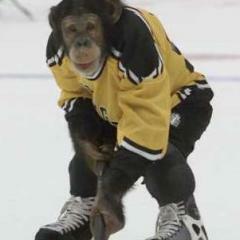 Bitetto was brought in because Fenton wanted the team to get younger. Fenton was familiar with Bitetto from his time in Nashville, so that's why he nabbed him off the waiver wire and sent Prosser packing to Iowa. Same with Aberg. Fenton was familiar with him. He was supposed to be fast and could score goals. Brown was brought in to be a grinder on the fourth line and nothing more. I think the Wild have far bigger problems than addressing a fourth liner that made a bad decision off the ice. Like a lot of players, Rask cashed in on the final year (2015-16) of his entry level contract by having a career year (for him, a 48 point season). Zucker did the same thing. Scores 30 goals in the last year of his contract. There are a lot of players that have career years in the last year of a contract that tend to boost their value. After signing the big contract, those same players struggle the following season trying to live up to their new deal. Some players recover and have good to great second seasons. Others continue to circle the drain. I'm hoping Zucker recovers and returns to his scoring ways, but I think he may end up doing that on another team. 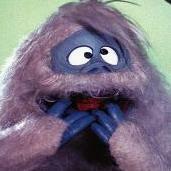 Rumor is that Fenton is intent on moving him before his mNTC kicks in July 1. Another factor is the availability of players at that position. 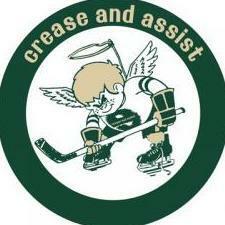 Mikko Koivu benefitted from this. The years he was due to be a UFA, the potential UFA market was very thin on centers. He was able to capitalize on that. I really don't care if J.T. wants to knock back a bunch, Light one up and show up hungover (for a non issue game). But to go as far as getting arrested breaches the line. Totally selfish and I don't want that type in the locker room. I agree, Bury him in Iowa if we have to keep him. Make him play his way back...lol...And I mean really show some improvement. Give some Iowa guys a chance for some 4th line play. Those who want to be here. Welcome to the SOH Joe Pavelski. Safe play by signing a recognizable name (again) and fill the seat instead of taking a chance on a FA who may end up playing like Donato did. As far as Brown goes...I don't really care. He wasn't that impactful most games. I agree with the sentiment the Wild should be able to at least develop 3rd and 4th liners internally if you're drafting and developing right. This article talks about roster moves and free agents. @Davey J is a part of it. Enjoy! I think it's interesting that almost everyone thinks there is a problem in the locker room, that the problem probably resides with 9-11-20, but the solution to this is let's trade everyone else to send a message that no one is safe? As long as 9-11-20 (and to a lesser extent 12 and 40) get their way, it doesn't matter who gets traded or who is made to feel unsafe. That's why there is a divide in the locker room. Management has allowed two sets of rules: one for 9-11-20-12-40 and one for everyone else. I also found it interesting at the post season conference Fenton refused to address the subject of a Boudreau extension. All he would say is "Bruce is my coach next season." Which potentially makes him a lame duck. Which will just embolden 9-11-20 because they know if they don't make the Playoffs again, they have a ready made fallguy. Or if the team stumbles out of the gate, Fenton will can Boudreau and bring in his guy Dean Evason. And once again, the players will have an excuse: "We had to get used to the new coach." If Fenton doesn't extend Boudreau and give him assurances he has control of the line ups, then get ready for more monkeyshines next season. I know a lot of people claim the draft is a crap shoot, but if that's the case, why bother with a scouting department? Just pick someone. I think one of the Wild's major problems is their inability to draft players beyond the first round. Which leads to lack of depth on both the parent club and the farm club. Which was exposed this season. Governing is in the details and there sure are a lot of details that point to problems that are not properly out in the open. I fear that IllaZilla night be right. This might take years. And this is what bothers me about fenton. Familiar with Bitteto. Who would you rather see on the ice, Bitteto or Prosser? While Prosser isn’t great, I would rather see him on the ice over Bitteto. Aberg is supposed to be able to score. Well We didn’t see a whole lot of that did we. Brown as a grinder? How much grinding can 160 lbs do? Rask cashed in on 1 year of productivity? Maybe? Even though I thought they should move Nino I still think we should have gotten more for him. His talent assessment had better improve or it will be a long rebuild. Well, Fenton's vision for this team (as far as I can tell) is to get younger and faster. So he takes a shot at a younger Bitetto vs. an older Prosser. We like Prosser because we are familiar with him. Personally, I think Bitetto can leave. He's a turnover machine (2 tkwy vs 8 gvwy in 18 gms with the Wild). I'd rather see the Wild give a guy like Belpedio a shot than bring back Bitetto. I think it's safe to say Aberg is probably gone, even though he's an RFA. Gets bag skated and then scratched by the coach doesn't bode well, especially since he already had a reputation for a poor work ethic. Maybe they bring him back, because they'll get him for cheap, but he needs to show a LOT more than just being younger and faster.
. His best season coincides with the final season of his Entry Level deal. As far as the Nino Trade, it happens. Look what happened with the Clutterbuck/Nino trade. Nino didn't do anything with the Islanders. But he comes to the Wild and blossoms. Sometimes the change of scenery works, sometimes it doesn't. With Rask it apparently didn't. I don't think they would have gotten anything more for Nino. The tradeoff was a younger player and less salary cap hit. And it's not a "rebuild"...Fenton said so. After signing the big contract, those same players struggle the following season trying to live up to their new deal. Some players recover and have good to great second seasons. Others continue to circle the drain. I'm hoping Zucker recovers and returns to his scoring ways, but I think he may end up doing that on another team. 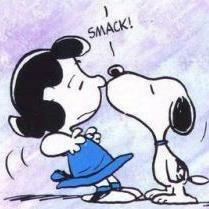 Rumor is that Fenton is intent on moving him before his mNTC kicks in July 1. Fenton didn't know what was going to happen with Zucker's production this season obviously at that time. Then mysteriously, A last second glitch cancels a trade at the deadline. Now because of the NTC that Fenton gave him, He's looking to trade him before that kicks in...??? We seem to be in decent shape with cap space as it is now. Do we need more?? I'm just confused over that whole run of this. If Fenton claims it's about this year's production, Then that's just an overreaction. Imo. I saw the last PO game and you might as well of put Nino in a Green jersey. Where was all this miraculous production? (I know it was just that game that I saw) He was the same as he was here. Mishandled plays, Slow and even the last to show up to a scrum and do nothing. At least from Rask, I can see in the next season some possibility instead of the same 'ol Nino cr4p. Fenton signed Zucker because Zucker just scored 30 goals, and the owner said that the team just needed a "tweak" to get to the Cup. Couple that with the fact that the Wild have been one of the worst scoring teams in the league, it makes no sense to let one of the few scorers on the team walk. How much outrage would there have been among the fan base had he not signed Zucker and Zucker turned in another 30 goal season? He signed Zucker to $5M/NTC deal because the Wild couldn't afford the $6M he was asking for. If he had scored another 30 goals, he probably could have named his price in the free agent market, which would have been well north of $6M, which the Wild couldn't have afforded. As far as the Calgary trade, that was a terrible trade. Michael Frolik and a draft pick. So much for getting younger and faster. Michael Frolik is 3 years older than Zucker and makes Mikko Koivu look like an Olympic speed skater. Luckily or unluckily, someone on the Calgary end miscalculated the salary cap impact and the deal was nixed. My big fear is that Fenton is going to throw silly money at a guy like Pavelski. Who is neither younger nor faster. And will take ice time away from the younger players. IMO they can take Rask, Aberg,Bitteto, Brown, Prosser and any other dead weight on the team and package them with draft picks to move up in the draft or add draft picks for the next 2 years. Go forward with the players we can’t move. Keep Pateryn, Fehr, Foligno. Give guys like Donato, Fiala and our young draft picks quality minutes. If they can get a great deal on Spurgeon, Brodin and Zucker take it but don’t give them away. Fill in the open spots with what we have in the system. IMO, it will be a huge mistake for the Wild organization if Zucker or Staal will be traded this summer. Hope Russo is completely wrong about that prediction. Let’s they will make that trade decision after 2019 -2020 year. Just looked through the stats of Zucker and Staal. I think both are still considered a consistent scorers. In the last 4 out of 5 years Zucker has more than 20 goals per season , including this year(21), as well Staal in a last 13 out of 15 years has the same statistics, including this year too (22). Even Parise because of multiple injuries was not so stable in a last 5 years as those two producers. Yes, this year was not the best actually for the whole team and not only for Zucker and Staal. I would say even more - for the entire Western Conference was not the best year, especially for Vegas, Edmonton, Chicago teams who have much much better consistent snipers as we have. Who else is capable to put more than 20 goals per season if Zucker and Staal will be traded? I do not know. 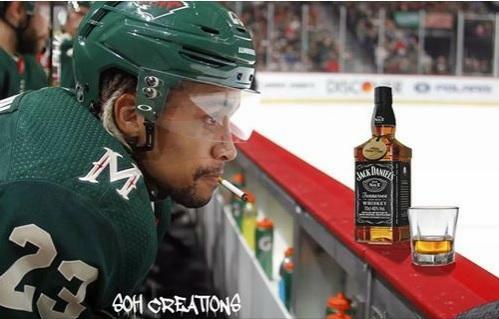 Do we have more of those consistent producers in our disorganized by alcoholics team(J.T.Brown played with the team 56 games and had 3 goals;5 assists;+/- 0) and maybe some other Pro players were playing under alcohol affection – no one knows)? Or the team will be dependent on defensively minded lower talented scorers or maybe they will be dependable mostly on their production from defense? If they(defensemen) would be injured then we will see more shutouts against us like this year? Or be dependable on missing Koivu like media says? Believe it or not he never marked a 20 goals season since 2010-2011(9 years already). Do we really need his faceoffs or we need more talented young producers in all lines? If we are not capable to produce even if we won those faceoffs then they mean less for the team. As well as his speed is absolutely not noticeable any more too. And that past injury will make him even slower same as it did for Suter. I even not saying about the age. Older age does not make people faster. It is a time for the retirement next year. Some people(media, fans, players, coaching staff, management staff) talk a lot about the depth. Is that mean anything if the team not capable to produce any single goal in 11 games out of 82 and be on a last place of the Division? Depth without a production? Is that depth of the bottom? I would like to hear from the fans what is that mean for them? Personally , team’s chemistry as a well oiled machine towards an exclusively winning goal/mode is more important. Or depth is equal to chemistry? Sincerely,I still have an interest to the Wild team because of Zucker(his speed and his multiple chances to score), Staal(his valuable experience) and now Donato(his first shoot mentality and a smart play) presence. The rest of forwards still having huge questions for me as a real future for our team. Maybe or maybe not. Time will show. Regarding Wild inability to draft smart beyond the first round(1st overall) for 19 years of the Wild history, then the major solution for our organization is to train those available and signed drafts to the level of the 1st overall , because we are not going to get them(those 1st overall) in a nearest future. Same way as happened with a Pavel Datsyuk by his enormous training and smartness despite he had a draft 6(#171 overall) and who became exclusively valuable player for the team. IMO Wild development training camp should be completely reinforced/reorganized as soon as possible with a talented group of experienced former highly productive NHL players, capable to train how to shoot; how to change/redirect the trajectory of the puck by using different angles; how to score;how to change mentality more towards shooting; how to find the weakest spots of the most current NHL goaltenders; how faster to read goaltenders mind and his reaction; movements of his stick as well as the puck. Same it should be done with a farm club too. I like Lynxrattle idea to use some former experienced NHL players from Russia as consultants for training and share their experience which will add the real depth to the Wild organization. 2) If you have laughing in the locker room at losses, lack of energy, lack of care regarding the playoffs, unexpected shutouts, continued lapses at home and against inferior teams, etc., who do you count on to keep team focused and executing - typically your captains. 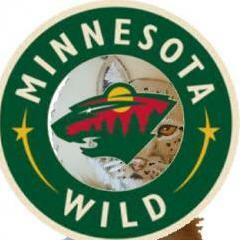 Since the Wild have missed expectations for 6 years or more, tell them "your time is now past as Core (9, 11, and 20)". 3) If you do not allow coaches to make 'coaching decisions,' and allow players to dictate TOI, partners, starts (in goal), Special Teams - you have sabotaged your chances. New agreement needs to be made in Mgmt - someone stated 'stay in your lanes,' would be a good Mgmt discussion upon EOY assessment. Thereafter, I would get rid of all the 'deadwood' by any means necessary (starting with all within Scouting - and sign the best). That also means Bitteto, Aberg, Rask (or booth expectations to start the season), Brown, Pateryn. I would not sign any FA over 24-25, and I would force my scouts to scout the NHL playoffs, and ANYWHERE they can find some 'diamonds' in the draft (Junior playoffs - no rest for scouting - and I would bonus them for performance). I would focus upon any trade that brings in a player that has character, then skill. Not the other way around. Culture needs to be changed. 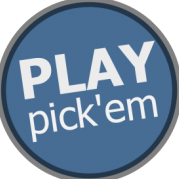 I would draft potential offensive players in Rounds 1-3 (where skill and readiness are obvious, not worrying about two-way game). I would NOT allow next season to begin without a Team Meeting in Training Camp concerning the new expectations, and I would bring in as many of the young players from Juniors or Iowa as I could, and provide them every opportunity to make the team (including my first and second round draft choices). I would do the same for the next two years to see what I have. I would also pull Greenway, Kunin, Donato and Fiala in with Dumba, Brodin, and Spurgeon and tell them that they are now the Core of the Team (not sure about Staal and Zucker). I would agree with you @IllaZilla. I would also argue trading everyone other than #9, #20, #11 more or less means nothing will really change. Unless their hope; although no one said it this way...is to trade everyone and perhaps sour the milk enough they agree to be moved. Yet...I don't think too many teams will want their contracts at this point in their careers. I would also agree the Bruce is the coach next year is hardly a glowing endorsement. Ryan Suter was quoted as saying something along the lines of "What we're doing isn't working..." I would love to hear his thoughts on what isn't working. The power play was at 20.3% (#14). Middle third of the League. The penalty kill was at 81.7% (#7). Top third of the League. Goals For per Game were 2.56 (#27). Bottom third of the League. Goals Against per Game were 2.84 (#12). Middle third of the League. Almost top third of the league. Wins were 37 (#20). Middle third of the League. Barely. Shots per game were 31.3 (#18) Middle third of the League. Shots allowed per game were 29.5 (#8) Top third in the League. Looks like defense isn't really the problem. Could be tightened up a bit, but not bad. The offense on the other hand needs work. But how do you suddenly just start scoring goals? This season the Wild seem to be a middle-of-the-road team. Not great at anything, but not terrible either (except for scoring goals). And I don't foresee the Wild being rid of the Suter/Parise deals realistically for at least three more seasons, when a buyout becomes more palatable. Here's the last of it. This mostly is about what the team should do this summer. @Davey J is in this...and thanks to everyone who participated in it. @IllaZilla honestly...your posts are outstanding. The Wild 5-on-5 scoring is rancid. Towards the end, the team could only score on the power play. I think Zucker will get moved, and I agree...I think we'll target Pavelski and it be Heatley / Havlat / Vanek all over again.